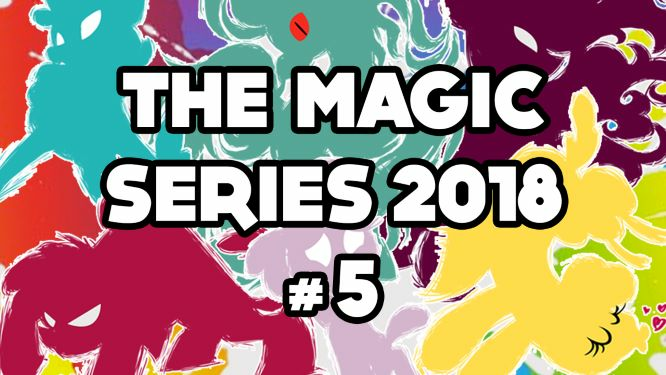 This event is the fifth tournament in our intended-monthly, online Them's Fightin' Herds tournament circuit for 2018, wherein we plan to continue hosting associated monthlies in (roughly) the same format, culminating in an end-of-year finale! As with the previous tournaments, all participants are required to check-in on Challonge prior to the tournament, beginning 2 hours from tourney start time. PAYOUTS WILL BE DELIVERED VIA PAYPAL, so ensure you have an account in good standing on hand. All entrants must register in the Challonge by the latest 2 hours before the event. No exceptions will be made for late registration. All entrants must check-in before the start of the tournament. This includes entrants in the bracket and in the waiting list. Failure to check-in on time will be an automatic disqualification even if you are present in the Pixel Lobby. All entrants must gather in the designated Pixel Lobby at least 5 minutes before the event starts. Assigned Pixel Lobbies will be announced by an Organizer. All matches are best-of-3 sets, with the Winner's Finals, Loser's Finals, and Grand Finals sets being best-of-5. In Grand Finals, the player coming from the loser's bracket must defeat the player from the winner's bracket in two separate sets (the first defeat is referred to as a "reset") in order to win. The winner of Grand Finals will be crowned Grand Champion. If an entrant misses their first match, they will be automatically moved into loser's bracket. If an entrant misses their second match after being moved to loser's bracket, they will be automatically eliminated. Players can choose any character on the first match of their set with a new opponent. However, they can only change their character in the following matches against the same opponent if they lose. The winner of a match must not change their character in the next match of the set. Grand Finals resets will count as a new set, and neither player is restricted in character choice at the start of the first match. Not all matches will be streamed and not all matches will be witnessed by an Organizer. Participants of these matches must report results to an Organizer. Participants who fail to report their results in a timely fashion will be disqualified. If the results of an unwitnessed match are in dispute, players will be forced to redo the match with an Organizer spectating (this match will not be streamed unless deemed necessary). Participants are solely responsible for remaining present and available for match direction by Organizers. Any player that cannot be found/contacted for a match at any point in the tournament is subject to disqualification at Organizer discretion. Although it is not required, it is highly recommended that a participant join The Fightin’ Foenatics Discord to ensure ease of communication. It is the entrant’s responsibility to ensure their match results are accurate. If an Organizer gets the results incorrect and it is not reported by the entrant or by spectators in a timely fashion, the results will remain as they are. If it is suspected that an Organizer reported inaccurate results due to malicious intent or negligence, the dispute will be investigated by separate Organizers. As this is an international event, having a high ping with the other participants is not an automatic disqualification. We do however require a stable enough Internet connection for matches to take place in a timely fashion. If matches cannot be spectated due to connection issues, they will be played offstream and off-server in a Vanilla Lobby between the two players. If the match continues to be unplayable, an Organizer will attempt to determine which player's connection is the source of the issue and issue a disqualification (both players will be disqualified if it is unclear where the issue lies). PLEASE DO NOT USE WIRELESS INTERNET CONNECTIONS. There is no disqualification rule or penalty if you are unavoidably forced to use a wireless connection, but to minimize connection issues we highly recommend all participants use wired connections if at all possible. Payouts will be delivered via Paypal. Recipients are responsible for ensuring they have an account in good standing on hand. Individual winnings may become forfeit if the Organizer in charge of payouts is unable to transfer funds to the applicable winner. THE TOURNAMENT PARTICIPANT CAP HAS BEEN REACHED. CAN I STILL JOIN? Please do! You will not be added into the bracket, but Challonge will automatically place you into a waiting list. While in the waiting list, it is very possible/likely that you will be added into the actual bracket due to dropouts/disqualifications. WHAT IF I AM NOT PART OF THE FIGHTIN' FOENATICS DISCORD? Please join the Fightin’ Foenatics Discord at: https://discord.gg/0oBEOxxvGVdeQLXXI. If any issues arise in joining, please contact an Organizer via Discord, Steam, or any means at your disposal. Download and install Discord from https://discordapp.com/ if you do not already possess it, or use it via the Internet browser application. Refusal to use/install Discord does not prevent tournament entry; however, you remain subject to disqualification if Organizers cannot contact you to inform you of essential information/changes to the tournament, or to verify your presence during/following tourney check-in. There should be an option to check-in on the tournament's Challonge page once the check-in window begins 2 hours prior to tourney start. If you still cannot check-in, please contact an Organizer. Please check in EVEN IF YOU ARE ON THE WAITING LIST. If the time for check-in closes and those actually in the bracket have not checked in, those who have checked in from the waiting list queue are automatically arranged into the bracket by Challonge (seeding may still be adjusted at this time). I CAN'T MAKE IT TO THE EVENT. HOW DO I UNREGISTER? There will be an option in the Challonge to drop out. If the option to drop out in the Challonge is not available, contact an Organizer. If you can’t contact an Organizer, you will be automatically disqualified/removed via established rules. THE PIXEL LOBBY DIED. NOW WHAT? Please stand by for further instructions. THE PIXEL LOBBY IS FULL. NOW WHAT? As Pixel Lobbies have a current maximum capacity of 25 players, participants will be assigned one of two servers at the start of the tournament. Once a Loser's Bracket is established, players will relocate to the applicable servers, depending on if they won or lost their first match, for the remainder of the tournament. If you are uncertain of where to go, view the Discord or consult with an Organizer for further information. At the onset, it is helpful for eliminated players to depart the loser's bracket lobby entirely to minimize potential interference/distraction. We of course encourage you to continue following the tournament via the applicable Twitch streams following elimination. As of now we have no administrative power to prevent unaware players from entering the lobby and attempting to solicit matches outside of the tournament, but we will inform them of the tournament's existence and politely ask them to use a different server if their presence is an issue.